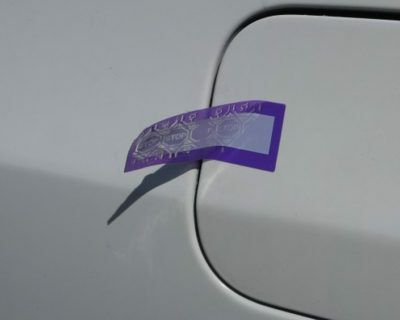 Tamper evident tapes and labels from Tampertech provide an added security solution to your Cash and Valuables in Transit. 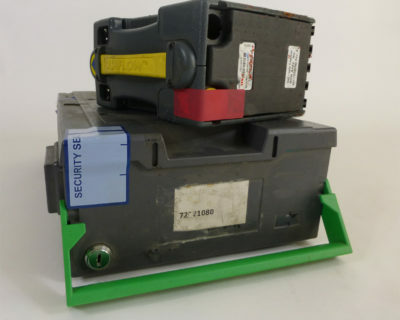 The security labels demonstrate your commitment to the security and safety of your staff, through highlighting if the Cash and Valuables in Transit (CVIT) have been tampered with. 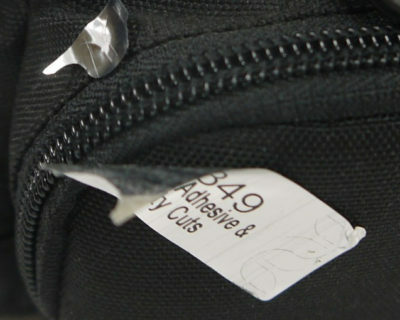 The security labels and tapes also offer key business benefits including reducing your exposure to uninsured cash losses. The tamper evident tapes and labels also save time and therefore money in the transporting, storing and sorting of cash and other valuables as the tape gives clear visual evidence if it has been tampered with. CVIT companies play a vital role in replenishing and protecting cash supplies for the business world and the wider community, keeping the economy running. Tamper evidence security tapes, labels and bags are an integral part of this sector. Due to the nature CVIT, unfortunately crime is a real challenge. As the manufacture we are able to include the latest technology in our labels to deliver the maximum innovative security solution available in a tamper evident label, tape or security bag today. To discuss your individual cash and valuables in transitrequirements please contact us. 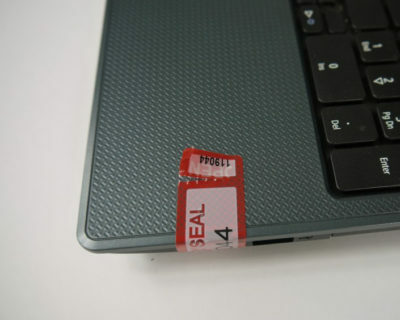 Computer security is a huge issues for businesses today these simple non residue tamper evident security labels for laptops from Tampertech can make a real difference to the IT security of a firm. Simply apply the non residue security label to the computer; laptop, notebook or any other electronic item at reception, or security, to cover USB ports and disc drives without damaging the surface of the item. Protecting company information against unauthorized data exchange and the introduction of viruses into the network. This non residue tamper evident label has a receipt tab which can be overprinted with numbers or bar codes which match the main label which increase track back facility, the label also has permanent cut in it for added tamper evidence. 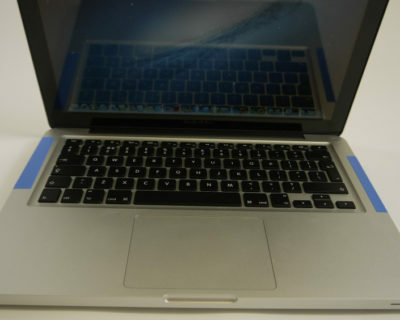 These tamper evident security seals are also used on computer cabinets, CD and DVD cases as they can be applied to a number of surfaces; metal, plastic, painted and veneers. To find out more about security labels for computers please contact us. IT protection using tamper evident labels – providing a simple solution to a growing problem. Airlines use security seals for aircraft tamper evident labels to instantly add a new level of security. These security seals for aircraft give a clear visual indication of tampering without affecting the surfaces applied to. These tamper evident security seals are used to help ensure that any items placed onto aircraft have been cleared by the relevant security personnel, and once cleared, that where possible, they are sealed to make sure that they cannot be tampered with before, during and post flight. Non residue labels from Tampertech are applied to aircraft doors after the cleaning crew have finished and before the cabin crew re-enter the aircraft to act as a security seal for the aircraft. The labels can be printed with sequential numbers and bar codes as well as logos to ensure traceability. We provide tamper evident solutions for: sealing baggage | sealing airport doors | sealing aircraft doors | sealing duty free bars Permanent tamper evident labels are used to seal the cargo manifest wallets and documents helping create a safer environment for people and goods across US borders. With flexibility in the size, color and message, airlines and the supply chain are able to identify their own labels easily. To find out more please contact us. Tamper evident sealed office/room security solution from Tamper Technologies. The threat to offices throughout the corporate, education and government sector has increased and the costs of manned security has risen. This has resulted in an innovative use of this non residue tamper evident label. This non residue label can be applied to a door after the security guard has checked the room and judged it secure at the beginning of their shift. Once applied the room is then sealed and does not need entering again for security checks, saving time and money. These labels have a receipt function for easy monitoring and can be overprinted with sequential numbers, room numbers, suite names, the choice is yours. 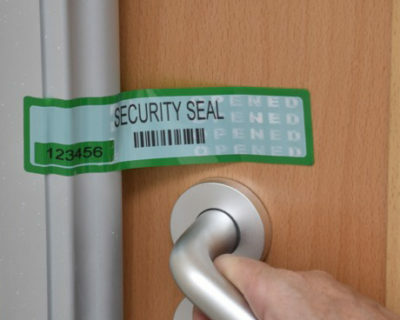 When the door is opened the label will void and can not be reapplied – displaying obviously that the room has been entered since the last security check The individual details on the labels ensure they can not be copied and used inappropriately. 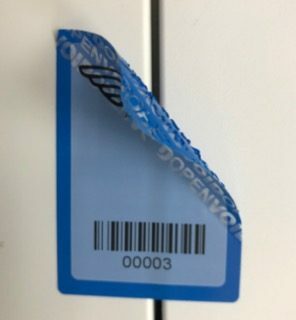 Label options: Overprinting message Specific void message Sequential numbers Barcodes QR codes To find out more about the room security labels from Tampertech please contact us. 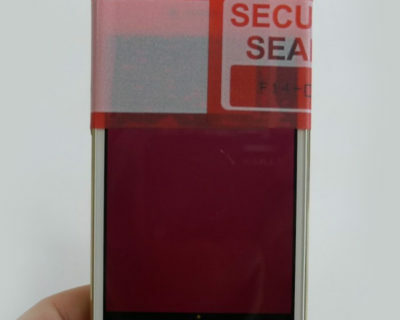 The growth of mobile technology delivers great benefits but also introduces new threats to security and privacy.Tampertech have designed and developed a tamper evident solution for smart phone camera security.